A few days out from the terror attack at Charlie Hebdo in response to that magazine's satirical cartoons, we've seen the emergence of the Hot Take express based on the social media movement around #JeSuisCharlie. 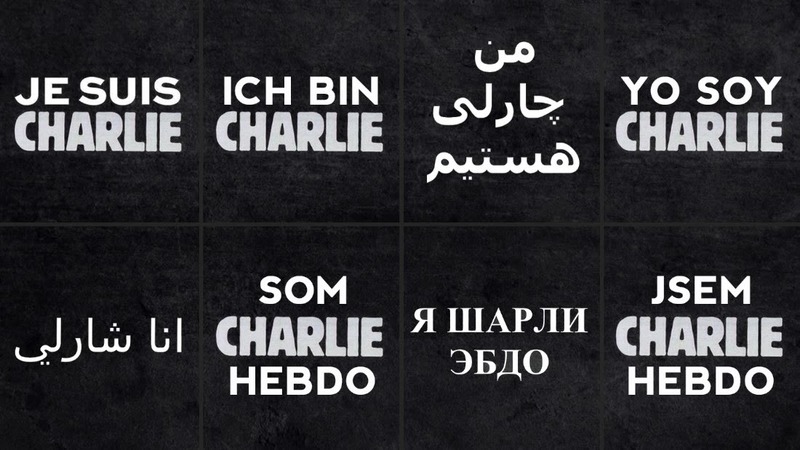 Translated from French, the hashtag means "I Am Charlie" and was posted as a sign of solidarity with both the victims of the attack and freedom of expression. That didn't seem to sit right with some people. Rather than seeing the movement for what it is - a gesture of support for the right to publish whatever one wants - some saw it as support of the content of Charlie Hebdo. Simply put, that's a shortsighted view of those who came out in support of Charlie Hebdo after their staff was brutally murdered for publishing uncouth cartoons. Free speech should be content-blind. Not all ideas hold the same weight in the marketplace of ideas (nor should they), but they all share the same exact right to be expressed. Good ideas do not hold more right of expression as the worst ideas that are put out there. That's why true freedom of speech advocates fight for the right of anyone and everyone to express themselves. Does that mean that these advocates agree with the particular expression? Hardly. In fact, if we're being honest, some of the stuff that Charlie Hebdo put out was really just put out for shock value; it wasn't funny (at least to me) nor did it necessarily raise political or social discourse. But to say that we don't need to fight for that kind of expression is wrongheaded in a very dangerous way. The moment we begin assigning different levels of freedom to different ideas, we are beginning a journey down a rabbit hole in which no free society belongs. Not all ideas are created equal, but their freedom to be expressed ought to be. I don't stand for the content that Charlie Hebdo put out, I stand for their inalienable right to publish it. That is #JeSuisCharlie.